The historic landscape area of Parc le Breos represents the extent of the deerpark by 1650, following the loss of its eastern part to settlement and agriculture. The whole area fell within the Welsh medieval Cwmwd of Gwyr, within the Cantref of Eginog. During the reorganisation of the post-medieval period the area formed part of the Hundred of Swansea, within the County of Glamorgan. The area has seen occupation and use since the prehistoric period, with assemblages of Upper Palaeolithic and Mesolithic material including microliths recovered from Cathole Cave (00231w; 305612; SAM GM349), whilst Bronze Age finds, including flint and bone tools and human remains, were recovered from the Llethrid Tooth Cave (00230w; 305613; SAM GM284), also in the area. The major feature of the area is the Parc Cwm Neolithic Chambered Tomb (00251w; 93072; SAM GM122), a passage grave, excavated in 1869 and 1970 and subsequently reconstructed. This monument comprises a main North-South gallery with two chambers on either side, all constructed mainly from orthostats with coursed drystone infill, set in a rubble mound with a coursed drystone revetment wall, which opens to form a narrow bell-shaped forecourt at the entrance to the gallery. Finds found in 1869 from the tomb included human remains assessed as representing from 20 to 24 individuals, all adult except three, and disturbed successively by later burials. Apart from animal bones, other finds were limited to sherds of 'plain Western Neolithic pottery' (RCAHMW 1976a, (36) 34-35; Evans 2002). Whilst some level of occupation is indicated during the Roman period by the find of a coin hoard, the next hiatus of occupation dates to the medieval period. The site of a former medieval chapel, Church Hill (00274w; 300041) and enclosure (00301w; 300040) located at Park Woods has been tentatively identified as a possible former manorial/ecclesiastic centre of the Manor of Penmaen, which it has been conjectured was moved when the area became a deer park in the thirteenth century (Toft 1989). The Willoxton crop mark enclosure (86927), may also be associated with pre-park settlement, but it is currently unknown, whether this is of medieval or even earlier date. In fact relatively little is definitely known about the area's development prior to its emparkment, the only direct reference is to the presence of woodland in the 1220s. The history of the park, its break-up and subsequent development, is described in detail by Leighton (1999). 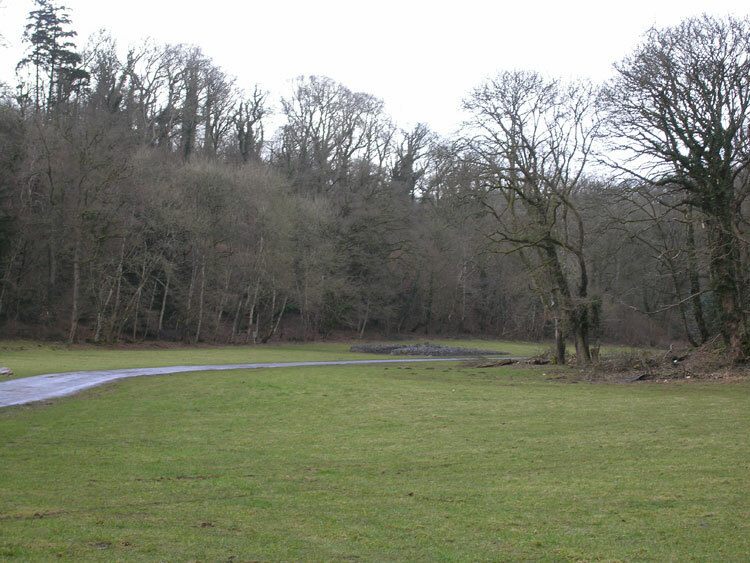 The park, which originated in 1221-32, was an asset of the Marcher Lordship of Gower. The remnants of the park pale (02824w; 300001), originally a timber fence set on an earthen bank flanked by a ditch, survive in various places around its boundary. With the demise of the de Breos family in the 1320's, the lords of Gower were usually absent from the lordship and it is likely that deer farming began to decline. The park was later reduced to about half its former size when the eastern part (HLCA 065) was converted to a manorial farm or grange before 1337. This western area of the reduced park continued to function as a deer park until c.1400, though by 1551, as alluded to in a lease of this date, it was being developed as holdings were carved out to form the present pattern of enclosures. By 1650 the park had been divided into three lease holdings: 'Longe Oaks, Lytherid and Park Price'. Later the lordship fell to the Worcesters and the dukes of Beaufort, though farming and woodland management supplanted deer husbandry. During the nineteenth century the Vivian family acquired a substantial part of the park with the intention of reviving the hunting estate at Parc le Breos (Leighton 1999, 71-79; Edwards, Leighton, and Llewellyn 2006, 260-269; Kissock 1991, 130-147).